and why passwords soon won't be. I am a slave to my passwords. I have them all printed out every month or two and get them made into a booklet. I also keep the digital file of the booklet file. This is terrible. If anyone should know better, it should be me. Currently, I have 287 entries in my booklet. Even worse, I don't always have my secret booklet with me, so I still can't access all of the things I need to access. You know what I pretty much always have with me though? My phone and my finger. (I do have a new bandsaw though.) Sometimes, I don't have my Yale key that fits my Yale lock in my front door (so there's a good chance I'm going to be replacing a window pane soon). I have left my RFID keychain at home before and had to find someone from maintenance to let me into my office. One time, I attempted to purchase a bandsaw at Home Depot, but when I went for my wallet, I only felt my phone. Right now at DFT, we're primarily working with clients in the banking and financial services field, which is well-suited and eager to use ONYX. But ONYX can actually be used to log-in to anything, open any door, replace any password, pin, or physical object (keys, atm cards, keyfobs, IDs with a magnetic strip, so on and so forth...). So you may leave thigs at home, forget your password, or (God fobid) lose your neatly printed and bound password booklet. Most people always have their phones and fingers with them (with the possible exception of grandparents and bandsaw-weilding shop teachers). 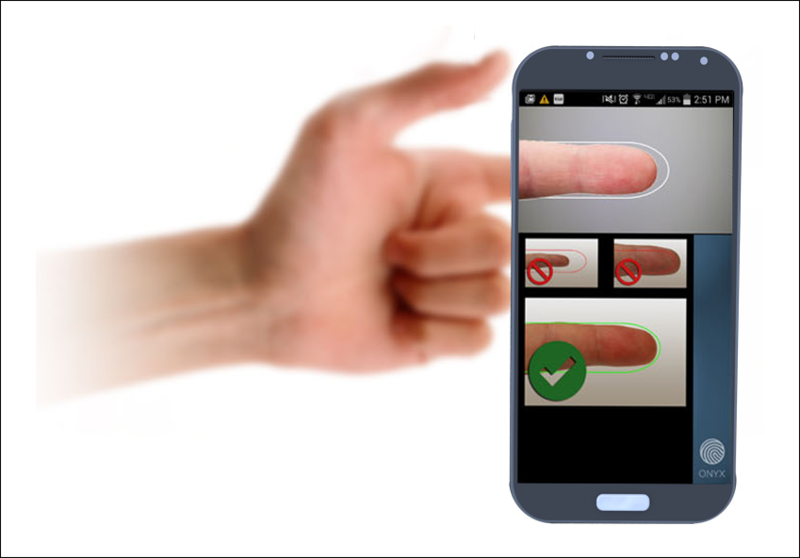 Next time you have to reset your password or go back home for your keys, check and see you don't have both your finger and phone with you. You'll see what I mean. I look forward to hearing from you... mfunchess@diamondfortress.com, @DFTInc (Twitter).